NAHB recently unveiled an index that tracks housing markets on the mend, the NAHB/First American Improving Markets Index (IMI). The IMI is intended to draw attention to the fact that housing markets are local and that there are metropolitan areas where economic recovery is underway. The index measures three readily available monthly data series that are independently collected and are indicative of improving economic health. The three are employment, house prices and single family housing permit growth. For the ninth release 80 markets are currently classified as improving under a conservative examination of local economic and housing market conditions. 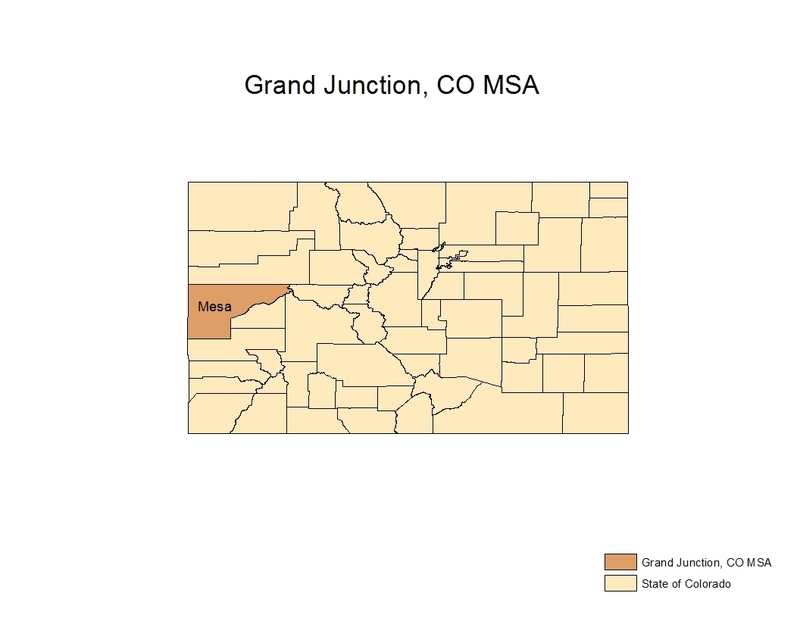 Among these areas is the Grand Junction, Colorado metropolitan statistical area (MSA). The health of the Grand Junction housing market is due to its diversification away from just oil and gas following the oil shale bust of 1982, strong growth at Mesa State University, a large number of state employees, and, being the largest city between Salt Lake City and Denver, its position as a very large regional healthcare center. The rise of the healthcare industry can be seen by the recent additions at both St. Mary’s Hospital and Community Hospital. Grand Junction also offers abundant outdoor activities, spectacular scenery, top-notch recreational opportunities and is a major mountain biking destination and also has a number of nearby ski resorts and vineyards. As such, tourism and retirees are also fueling the local economy. Comparing 2010 American Community Survey data for Grand Junction to the US offers strong evidence that Grand Junction is doing well and insight into why. The percentage of persons with some college but no degree is 23.0% higher than in the rest of the country and the percentage with a bachelor’s degree is 18.4% higher than it is everywhere else. In addition, the percentages of persons employed in educational services, healthcare and social assistance and in the arts, entertainment and recreation industries are 17.2% and 10.9% higher respectively than the national average. Lastly, the percentage of owner-occupied units stands at 72.5% versus 65.4% for the nation and the number of vacant housing units, be they owner-occupied units or rental units, is just 8.6% in Grand Junction compared to 13.1% elsewhere. According to Rich Buffington, an associate board member of the Home Builders Association of Northwestern Colorado, “Grand Junction is perking up because things always improve and we are more accustomed to cycles because of the role energy plays in our economy. In addition, many folks who used to work in the oil and gas industry here, now work in the Bakken shale in North Dakota but continue to live here with the same being true for many subcontractors. As such, the local economy is much healthier than would otherwise be the case. In addition, education, healthcare and the continued influx of retirees are also part of the reason for the turnaround in our economy local economy.” Whatever the cause, house prices are definitely on the mend. Prices are up 0.7% since the trough in July 2011 and appear on track to continue to increase in the days ahead. For the eighth release 100 markets are currently classified as improving under a conservative examination of local economic and housing market conditions. 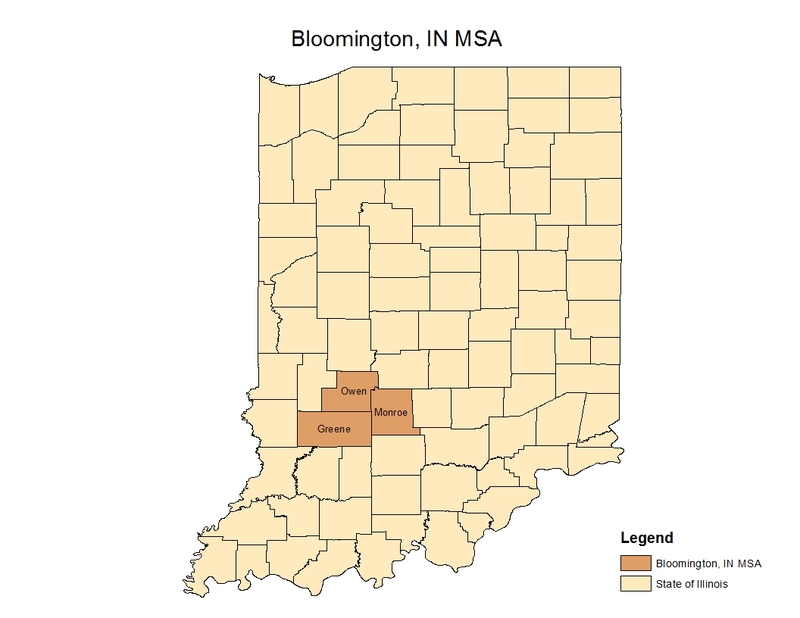 Among these areas is the Bloomington, Indiana metropolitan statistical area (MSA). The health of the Bloomington housing market is due to its position as a very large regional healthcare center and the Indiana University and all of its research facilities and associated high-tech firms. Bloomington is also home to a large Baxter Pharmaceuticals facility and is headquarters to the Cook Group Incorporated, a company primarily involved in manufacturing of medical devices. As a result, Bloomington’s concentration of employment in the life sciences and medical devices is many times greater than the U.S. average and has been growing rapidly in recent years. Comparing 2010 American Community Survey data for Bloomington to the US offers strong evidence that Bloomington is doing well and some insight into why. The percentage of persons with a graduate or professional degree is 43% higher than in the rest of the country and the median age is almost 16% lower in Bloomington than it is everywhere else. In addition, the percentages of persons employed in educational services, healthcare the social assistance industry and in the arts, entertainment and recreation industry are 48% and 35% higher respectively than the national average. Lastly, the percentage of owner-occupied units stands at 73.4% versus 65.4% for the nation and the number of homeowners with a mortgage is just 65.1% in Bloomington, compared to 67.2% elsewhere. According to John Bethell, President of the John Bethell Title Company, “Bloomington is doing better than many places because retirees continue to move here, despite the poor economy, due to the close proximity to Indianapolis, the University and all it has to offer the generally low tax rates. In addition, the anticipated construction of I-69 is already an economic boon to the entire community and the Westside in particular. It is already transforming the area and residential and commercial construction activity is heating up.” Whatever the cause, house prices are definitely on the mend. Prices are up 9.1% since the trough in January 2011 and down just fourth-tenths-of-one-percent from their peak set in July 2007. Improving economic conditions have resulted in payroll employment being down less than 8% from its peak in August 2008, and up by 1.3% since the trough in December 2008. Single family permitting activity is up 19.9% on a seasonally adjusted monthly average basis from the trough set in September 2011. While new homes are being built in many parts of the Bloomington MSA, activity is currently centered in preapproved subdivisions in the City of Bloomington, northwest of Bloomington in the Town of Ellettsville and the west side of town where I-69 is being built. For the eighth release 100 markets are currently classified as improving under a conservative examination of local economic and housing market conditions. Among these areas is the Cumberland, Maryland–West Virginia metropolitan statistical area (MSA). The health of the Cumberland housing market is due to its position as a very large regional healthcare center, the presence of Frostburg State University and Allegany College of Maryland, the CSX Locomotive Maintenance Facility and the presence of several prisons including a new maximum security prison. Cumberland also benefits from several large call centers and the very large Hunter-Douglas fabrication plant where custom energy efficient window treatments are made. Comparing 2010 American Community Survey data for Cumberland to the US offers strong evidence that Cumberland is doing well and some insight into why. The unemployment rate is almost 10 percent lower in Cumberland than in the rest of the country. In addition, the percentages of persons employed in natural resources, construction and maintenance occupations and in production, transportation and material moving occupations are 50% and 33% higher respectively than the national average. Lastly, the percentage of owner-occupied units stands at 73.4% versus 65.4% for the nation and the number of homeowners with a mortgage is just 58.8% in Cumberland, compared to 67.2% elsewhere. According to Mike Hershberger, Outside Salesman for 84 Lumber, “Cumberland is doing better than many places because of the presence of credit unions. While we have big banks, most construction loans are being made by the local credit unions. Because the credit unions know the borrowers well and have more discretion, they can confidently make loans that banks would not. In addition, the presence of the ATK Allegany Ballistics Laboratory in Rocket Center, WV is very important to our community as it brings people here.” Whatever the cause, house prices are definitely on the mend. Prices are up 1.8% since the trough in January 2011 and down just 12.8% from their peak set in December 2007. Improving economic conditions have resulted in payroll employment being down less than 1% from its peak in December 2011, and up by 5.6% since the trough in February 2010. Single family permitting activity is up 1.6 % on a seasonally adjusted monthly average basis from the trough set in May 2010. While new homes are being built in many parts of the Cumberland MSA, activity is now primarily centered in Mineral County, WV because buyers can get the same house there as in Allegany County, MD but for $5,000 to $10,000 less due to simpler building codes and lower taxes. For the seventh release 101 markets are currently classified as improving under a conservative examination of local economic and housing market conditions. Among these areas is the Boise, Idaho metropolitan statistical area (MSA). The health of the Boise housing market is due to its position as a large regional healthcare center, the presence of Boise State University, the large Federal government presence and its role as the state capital and thus the large number of state government workers. Boise is also the headquarters for Boise Cascade, Albertsons, J.R. Simplot and several other major companies. Finally, there is a large high-tech presence in Boise anchored by the headquarters of Micron Technologies with other firms like Hewlett-Packard, Sybase, Microsoft, having sizable facilities in town. Comparing 2010 American Community Survey data for Boise to the US offers strong evidence that Boise is doing well and some insight into why. The unemployment rate is almost 10 percent lower in Boise than in the rest of the country, while the labor-force participation rate is slightly higher and the average age of the population is almost 10 percent younger. In addition, the percentages of persons employed in professional, scientific and management and administrative occupations and in public administration are both about 13 percent higher than the national average. Because the local economy is doing well, the number of vacant housing units, be they owner-occupied units or rental units, is 33 percent lower than what it is for the nation as a whole and the percentage of owner-occupied units stands at 68.2% versus 65.4% for the nation. According to Pat Minegar, President of A-1 Heating and Air Conditioning, “Boise is doing better because residents from high tax states like California, Oregon and Washington are moving here to save money and because this is a great place to raise kids. In addition, existing homeowners are again investing in their homes and that helping put a floor under prices.“ Whatever the cause, house prices are definitely on the mend. Prices are up 2.4% since the trough in May 2011 and are expected to continue rising going forward. Improving economic conditions have resulted in payroll employment being down just 6.8% from its peak in March 2007, and up by 2.5% since the trough in June 2010. Single family permitting activity is up 3.7% on a seasonally adjusted monthly average basis from the trough set in March 2009. While new homes are being built in many parts of the Boise MSA, activity is now primarily centered in the Cities of Eagle, East Boise and Meridian all of which are in Ada County. For the seventh release 101 markets are currently classified as improving under a conservative examination of local economic and housing market conditions. Among these areas is the Rochester, NY metropolitan statistical area (MSA). The health of the Rochester housing market is due to its highly skilled workforce and diversified economy. Rochester is not only a large regional healthcare center but also benefits substantially from the presence of the University of Rochester and the Rochester Institute of technology. Moreover, because of the substantial amount of local imaging and optical research, many start-up firms in those areas deliberately choose to locate here. Finally, Rochester is the headquarters of expanding regional and national firms like Wegman’s Food Markets and Paychex. Comparing 2010 American Community Survey data for Rochester to the US offers strong evidence that Rochester is doing well and some insight into why. The unemployment rate is about 2.5 percentage point lower in Rochester than in the rest of the country, and the percentage of persons employed in manufacturing and in educational and healthcare services are 35 percent and 33 percent higher respectively than the national average. Because the local economy is doing well, the number of vacant housing units, be they owner-occupied units or rental units, is 30 percent lower than what it is for the nation as a whole and the percentage of owner-occupied units stands at 68.5% versus 65.4% for the entire country. Lastly, the percentage of persons with a bachelor’s degree or higher is about 20 percent higher in Rochester than it is for the rest of the US. Part of the reason for this is that the percentage of the population with a graduate or professional degree is almost 40% higher in Rochester than it is nationally. According to Scott Fields, President of Matthews and Fields Lumber Company, “our house prices never rose like they did in many places and thus have not fallen either and as a result, few have lost money on their home. In part it is because there was little if any increase in spec building back on ’04, ’05 and ’06 and in part it’s due to Yankee frugality.“ Whatever the cause, house prices have held up well over the past few years. Prices are up 4.7% since the trough in March 2011 and have now surpassed the previous high set in August 2009. Improving economic conditions have resulted in payroll employment being down just 0.5% from its 10-year high in July 2008 and up by 3.3% since the trough in September 2009. Single family permitting activity is up 2.7% on a seasonally adjusted monthly average basis from the trough set in March 2011. While new homes are being built in many parts of the Rochester MSA, activity has been primarily centered in the towns of Greece, Henrietta, and Penfield in Monroe County as well as southeast of Rochester in the Town of Farmington and the Town of Victor, both of which are in Ontario County. There has also been a small but noticeable pick-up in multifamily activity in downtown Rochester. For the sixth release 98 markets are currently classified as improving under a conservative examination of local economic and housing market conditions. 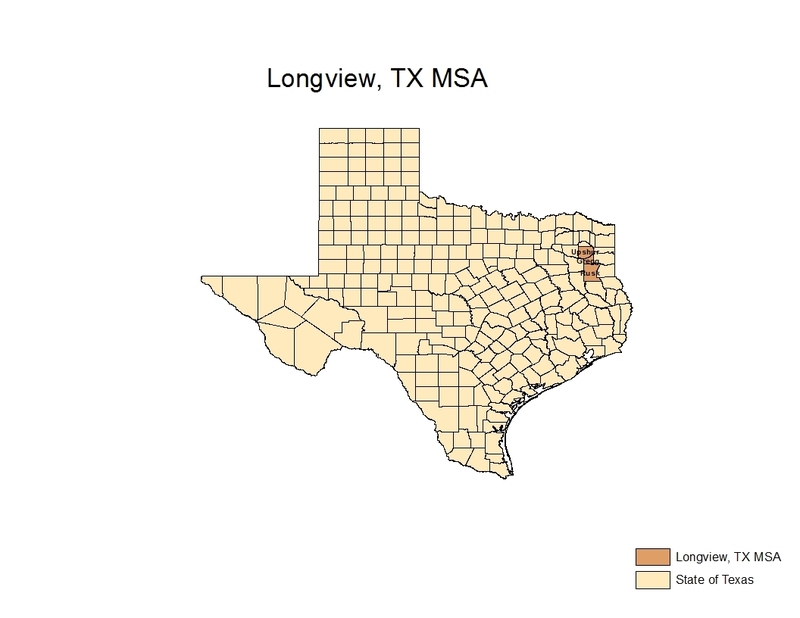 Among these areas is the Longview, Texas metropolitan statistical area (MSA). Comparing 2010 American Community Survey data for Longview to the US offers strong evidence that Longview is doing well, and insight into why. The unemployment rate is about 2.5 percentage points lower in Longview than in the rest of the country, with the percentage of persons employed in natural resources, construction and maintenance about double the national average. Also, the percentage in production and transportation is almost 20% higher than for the US, while the percentage in finance, insurance and real estate is less than one-fifth the national average. Because the local economy is doing well, the number of vacant housing units is about 10% below what it is for the nation as a whole and the percentage of owner-occupied units stands at 70.1% versus 65.4% for the entire country. Lastly, the percentage of owners with a mortgage is just 49% versus 67.2% for all of the US. According to Tim Holland, General Manager of Home Plus Floors, Inc., “Longview missed the real estate bubble and thus is not suffering from a bust. This is because construction here proceeded at a steady pace and supply kept up with demand. As a result no one has lost money on their house and there was little if any increase in spec building back in ’05, ’06 and ‘07.“ As a result, house prices have held up well over the past few years. Prices are up 5.9% since the trough in March 2011 and are just half-of-one-percent off their high set in November 2009. Improving economic conditions have resulted in payroll employment being down by just 400 or four-tenths-of-one percent from its peak in October 2008 and up by 7.9% since the trough in October 2009. Single family permitting activity is up 3.2% on a seasonally adjusted monthly average basis from the trough set in April 2009. While new homes are being built in many parts of the Longview MSA, activity has been primarily centered in the Springhill area and elsewhere north of Longview, and in several subdivisions that are in the Hallsville Independent School District. For the sixth release 98 markets are currently classified as improving under a conservative examination of local economic and housing market conditions. Among these areas is the Lincoln, Nebraska metropolitan statistical area (MSA). Comparing educational data from the 2000 Census to the 2009 American Community Survey shows that Lincoln has experienced increasing education levels. The number of people with a high school diploma or less actually fell from 57,518 to 56,025, a decline of 2.6%. By contrast, the number of with some college rose by 3% from 38,873 to 40,129 and those individuals with an associate degree skyrocketed by 39% from 14,364 to 19,986. Similarly, the number of persons with a B.A rose by 23% from 34,615 to 42,657. Finally, the number with a professional degree jumped 12%, from 17,386 to 19,473. While the educational gains were across the board, the large rises in the number of persons with an associate degree and a B.A. respectively speaks to a workforce that is rapidly increasing its skills. According to Jo Lewis, a mortgage loan originator with Liberty First Credit Union and President of the Nebraska Mortgage Association, “Lincoln missed the real estate bubble and thus is not suffering from a bust. This is because construction here proceeded at a steady pace as lenders refused to loosen lending standards and held true to Midwest values.“ As a result, house prices have held up well over the past few years. Prices are up 4.2% since the trough in January 2011 and are just 5.0% off their high set in July 2007. Improving economic conditions have resulted in payroll employment being down less than 1.0% from its peak in October 2011 and up by 3.2% since the trough in July 2010. Single family permitting activity is up 1.6% on a seasonally adjusted monthly average basis from the trough set in January 2009. While new homes are being built in many parts of the Lincoln MSA, activity has been primarily centered in the city of Waverly northeast of Lincoln, in and around the city of Hickman south of Lincoln and the city of Wahoo northwest of Lincoln.